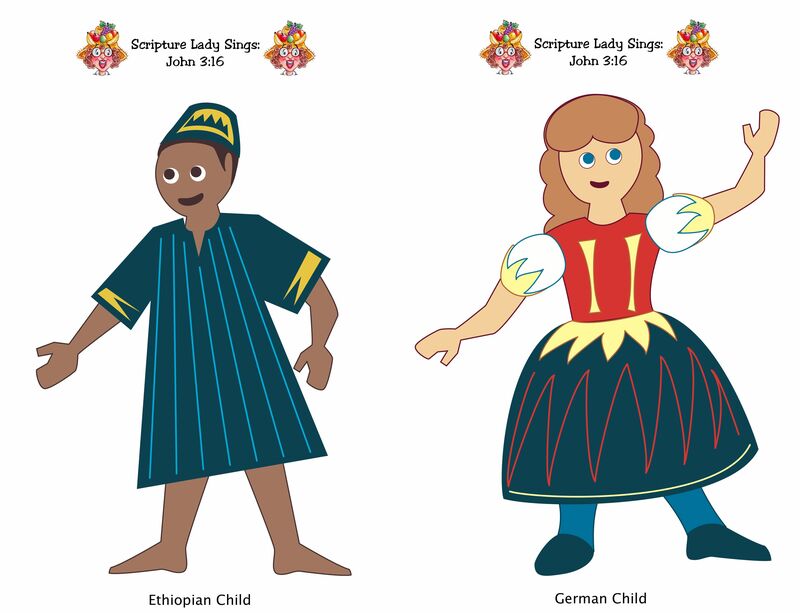 Play this Bible memory verse activity for John 3:16 for young children to help them learn the most famous verse in the Bible and more importantly, to learn the heart of God for the world He created. 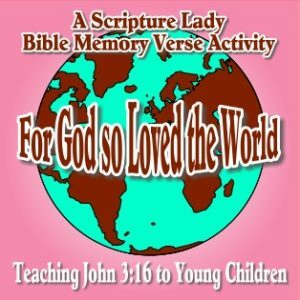 This Bible memory verse activity for John 3:16 for young children will be a fun addition to any children’s church lesson in which you want to share God’s abundant love. This activity will be perfect for ages 4 through 7. A missionary is a person who loves God so much that they are willing to go anywhere in the world that He sends them to tell the people all about Jesus. Of course, this is a simple definition, but it is a good introduction for young minds. I then proceed to tell the children that missionaries use God’s Word, the Bible, to share the good news about Jesus. Missionaries tell all the great Bible stories and they share all the great Bible verses to teach others about Jesus. For example, missionaries love to read John 3:16 to the people they meet. John 3:16 says this: For God so loved the world that He gave His one and only Son that whoever believes in Him will not perish, but have eternal life. I then invite the children to stand and I teach them my Bible verse song for John 3:16, Hawaiian style. Click HERE to learn how to get your own digital download copy of this song and the moves for both boys and girls. Including this song as part of this Bible memory verse activity for John 3:16 for young children is not mandatory, but it would be a great way to help your children memorize the verse more successfully. 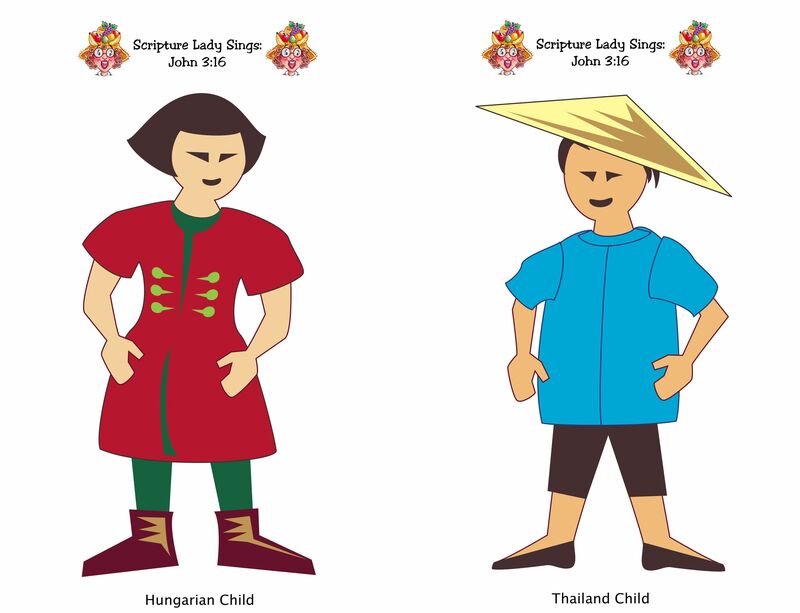 For this activity, you will want to gather either several pictures of different countries or several pictures of different people from different countries. Below, I am providing you with some cards showing some of both. 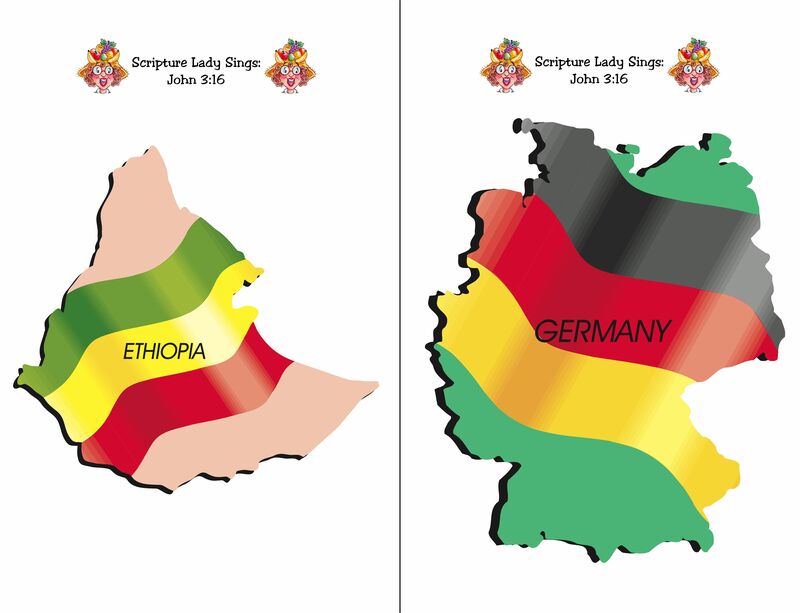 Print the pictures and place them in a bag from which the children will pick. The last thing you need to do is draw a large circle on the floor to represent the world. You will want this to be large enough so all your children can safely run around its perimeter. Have the children say the verse together several times. Now have the children go over to the “world” you created on the ground and ask each child to find a place on its edge to stand. 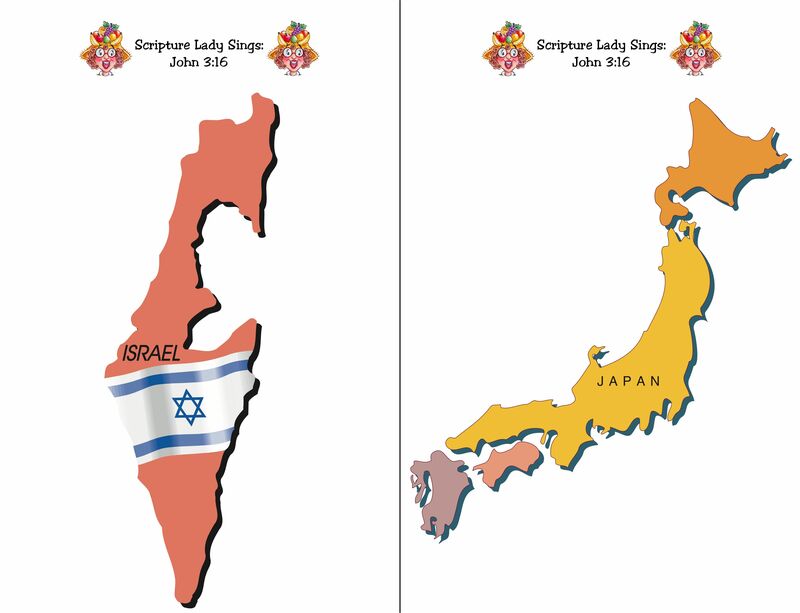 Continue by saying: OK, boys and girls, let’s pretend we are going to travel all around the world to share Jesus while we say our Bible verse of John 3:16. We will run around the circle and say our verse. Once we have said our verse, I will let one of you pick a country or person out of my bag and you will get to place it inside our world. Then we will all say, “Jesus loves you!” Alright, is everybody ready to go around the world? Here we go! Tip: You don’t have to say all of John 3:16 if you think it would be too much for your children. You might just have them say, “For God so loved the world.” Or make it a little longer by adding the next phrase of “that He gave His one and only Son.” Just use your discretion. Bible Verse Games for Preschoolers for John 3:16: Preach It, Preacher! If you liked this Bible memory verse activity for John 3:16 for young children, then sign up to receive Scripture Lady’s Free Email Kid Tips packed full with creative ideas and receive 12 FREE Bible downloadable resources to help get the kids you minister to excited about the Bible! Just go to www.MyFreeBibleGames.com to fully subscribe.